Over 150 pegs of very good Canal fishing to the West of Nottingham City Centre. 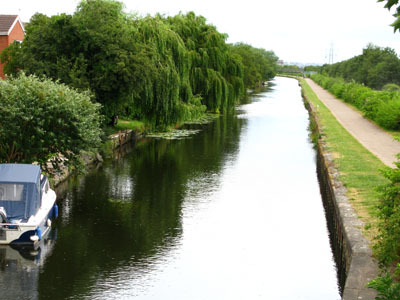 The Canal allows Boats to travel through Nottingham avoiding the shallow water on the Trent at Clifton Bridge and the weir at Beeston. Being joined at both ends to the River Trent means that all the species found in the River can probably be found in the Canal. Roach and Bream are the predominant species, however, large Chub often show up along with the odd Carp. There are many points of access and good towpaths make certain lengths ideal for anglers with disabilities. Day Tickets are available. Night Fishing is not allowed. No Closed Season, Open all year. From A52 Dunkirk Roundabout continue along A6005 Abbey Street towards Nottingham. At the Traffic lights turn right into Lenton Lane and continue along Lenton Lane for 500 Yards and then turn right into Willow Road. After 200 Yards park where the River Leen goes under the road. Walk down the footpath alongside the river for 150 Yards to the canal. The association water is to the left (upstream) of where the river goes under the canal. For Pegs at the Beeston end from A52 Dunkirk Roundabout continue along A6005 Beeston Road and University Boulevard and turn left at the roundabout into Queens Road East. Continue for ¾ mile to the second set of Traffic lights and turn left into Station Road. Continue for another 3/4 mile (Station Road turns into Meadow Road) to the canal. Parking is over the Hump Back Bridge to the left or along Canal Side up to the lock. Further access points are availabe at Thane Road and at the back of the Showcase Cinema.